I always love seeing young and interesting companies adopt the Business Model Canvas. 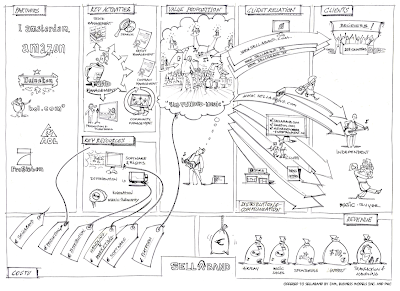 So I was very happy when renowned Dutch music upstart SellaBand used the Canvas to visualize their Business Model. They're a typical example of the business model generation. They use the image below to explain their innovative model to investors and employees. The image is one of the many illustrations in the "Business Model Generation" book by the way. Sellaband provides an alternative to the traditional music industry. It is a platform that empowers artists to record their next album, funded by their fans. Read more about the SellaBand business model example and how it came to live in Patrick van der Pijl's blogpost. 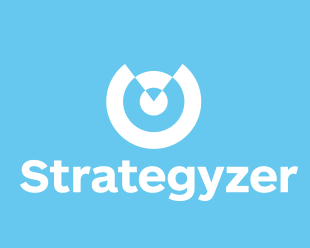 Patrick worked with strategy consultant Ouke Arts, strategy visualizers JAM, and Sellaband co-founder Johan Vosmeijer on the case. If you're interested in the link between business models and visualization: JAM has done a lot of the visual thinking in "Business Model Generation"! Thoughts on Design Thinking by Alan Smith - Designer of "Business Model Generation"
As many of you know, I am a big fan of design thinking applied to business. I believe there is a lot we can learn from designers and their tools to improve the way we innovate and manage in companies. Hence, it's straightforward to have a guest post by a designer. The best class I had in design school was a class called "Design Thinking" with a fabulous professor named Mary Ann Maruska. 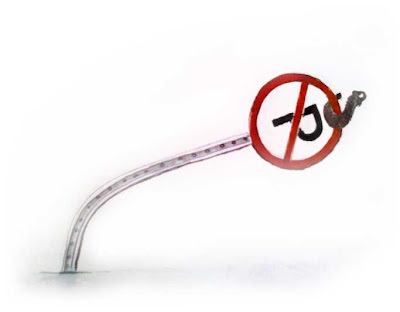 The best comment I ever got in that class was on a project redesigning a "tow-away zone" sign. As soon as we got the brief - that instant -I had this bloody brilliant idea of bending the sign-pole at its base and putting a hook through the circle in the "no parking" sign literally towing the sign away. Brilliant no? What you don't get it? That's ok, most people didn't. I was in love with this idea though!!!! It was so sweet!!! I've done X Y and Z right from a theoretical perspective and damn that's hot!!! I shared it with fellow students. 8/10 times: "ummm". I thought: "pfff. Another dimwit. I'm brilliant. That's ok that they don't get it. Everyone with a brain will." The course required that you create 10 alternatives, so I half-heartedly went through the process. I made them because I had to. Teacher says so. Jokes on her though, these crap solutions would enforce my Eureka sign and everyone would get it then! As a young foolish student, my post project-reflection read: "I think my first idea is generally the best for any project. " Mary Ann's Response : "Really? This must be your first idea on ideas." Went right over my head. But I think I get it now. Creating alternatives is not just about verifying an idea you like, its about finding one that's better, more appropriate, more interesting, or that leads to something better. Most of all, its about letting go. This ability to let go dies hard, and with each new field / exercise you enter it comes back without you noticing. Like a boxer, you can trust the process like you'd trust a coach. Run the drills knowing that they'll give you value your weaknesses would not allow you to create. Better yet, you'll also train those weaknesses out over time. When you're new to something, follow medium specific exercises and processes like you follow street-signs. You'll end up arriving at incredible results you never could have found otherwise. Or, you could just park one idea and hope it doesn't get towed away by the first person who see's through it. I'm excited to announce the Business Model Knowledge Fair and Book Launch Party on June 19 2009 in Amsterdam (register now for early-bird rate). 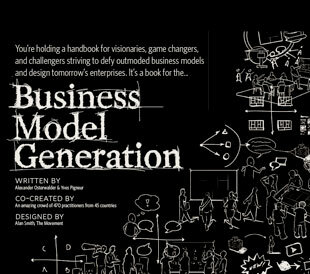 Though we still have some path to go to finish the business model book, I'm really looking forward to the event. It will be a special day where we have working sessions around the book content and share knowledge and experience with business model practitioners! It will be a unique and particular event and you will get a limited special launch edition of the book. As a reader of my blog you get a special discount off the entry price. The first 10 people get a crazy 35% discount (discount registration code: "bizmodelblog35"). When those are sold out you get still get a nice 10% (discount registration code: "bizmodelblog10"). Publishers, Update your Business Model! Book publishers, I think your business model is expiring! If you don't update it now, you will suffer the same fate as the music industry: "cluelessness" of what to do to fight steeply declining revenues! Publishers and retailers used to controlled distribution. That gave them the power to promote authors and their books. With Amazon.com, self-publishing sites such as Lulu.com and the rise of e-books that power is gone because anybody can (print and) distribute a book. The name of the game is now capturing attention in a world of abundance and the absence of distribution scarcity. The publisher’s role of the gatekeeper is soon gone. We are entering the ultimate meritocracy. Books will be successful without a major publisher if they can capture the attention of potential readers through the mastery of the tools of the attention economy: blogs, communities, search engine optimization (SEO) and viral marketing. Readers will catapult a book to success if their attention can be captured. We have already seen this happen sporadically in the music industry. Traditional revenue streams from selling books are prone to die. Learn from the music industry: Apple is now the dominant force in digital music and has replaced the incumbent players with a completely different business and revenue model. They sell music online, but they earn most from selling their iPod hardware. Or look towards the artist that give away their music and earn their revenues from increased concert sales or special edition albums. They use “free” as a way to capture attention and earn from new revenue streams. Very few authors get lucrative royalties or a substantial advance from their publishers. Royalties usually run around 5-10% of the book price. You have to sell VERY many books to live from it decently. In addition publishers don’t allow you to do most of the interesting stuff: experiment with new formats, revenue models and online communities. Hence, new authors have little interest to work with publishers and many of the most lucrative successful authors will run as soon as they have the courage: Paulo Coelho is famous for his stance against the publishing industry and their traditional methods. Books will be written by communities, they will come in versions (like software: cf. the unbook movement by my friend Dave Gray), they will have innovative intellectual copyrights (e.g. creative commons) and novels will have multiple endings. They will take advantage of multimedia by integrating online content and they will be delivered to digital readers like the Kindle. There are absolutely no limits to imagination of how the “books of the future” will look like. Sadly, publishers (with notable exceptions) lack the required imagination to exploit the new opportunity space. 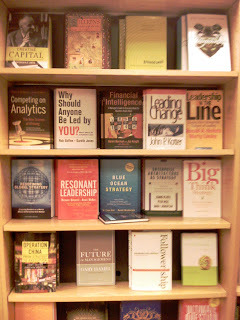 There are a lot of good management books out there and I'm looking up to many of the leading authors. I particularly admire thinkers like C.K. Prahalad (Bottom of the Pyramid), Gary Hamel (Future of Management) or Tom Kelley (Ten Faces of Innovation), to mention just some. Yet, even those outstanding personalities have not really changed the genre of management books. It's high noon to do so. The management book as it looks today is mainly due to past restrictions regarding printing and media. It is usually written by a limited group of persons or a single thought leader and it is published with a lot of black & white text and few images. This is the norm, though there are obviously great exception (John Kotter's "Our Iceberg is Melting" or Tom Peters' "Design Essentials"). Here is my take on how a management book should be crafted and how the result should look like. I try to apply this in my own management book that I am writing together with Professor Yves Pigneur on business model innovation. Visual Thinking & Design: The majority of management books as we now them today only rely on few visuals. This is mainly due to past restrictions in the printing industry. Authors of management books should use images much more because the visual sense trumps all authors as John Media outlines in his excellent book on brain rules (see rule #10). Images allow the simplification of concepts and they make it possible to convey emotion (e.g. change, urgency, competition). Personally, I believe it is not enough to have some graphs and 2x2 matrixes. We need a compelling visual design to make useful management books. For that purpose our book writing team includes a designer and the participation of XPLANE, the leading company in visualizing business strategy and management. Co-creation: Management books should be co-created together with the end-user. Though authors usually have a pretty clear idea of what they want to convey in their book, I believe they should still integrate the reader as part of the book creation process. Yves and I are doing this through an online platform (called the Hub) where we share chunks of the book as we write them and then allow people to give feedback on each piece. We are doing this to integrate the valuable experience of our readers, to test ideas and start building a community of practitioners around the topic. In a month over 160 people have paid 24.- $US to be part of this process! Prototyping: The method we use to co-create is prototyping. We see the book chunks that we share on the Hub as prototypes that we test with the members of the platform. This includes testing the content as well as the form, since in our book both play an essential role. Conveying a message through a more visual presentation must be tested by the end-user, the reader. Does it really work? Do people "get it"? The amount and quality of feedback that we got from our 160+ Hub members on our first book chunk was wonderful. It's amazing how people get involved. Applicability: Ultimately, a management book should help a person better manage his work, team or organization. Hence, the easier a management book makes it for the reader to apply the concepts conveyed in the book, the better it is... I think this is still a relatively weak point in the majority of management books - even in those with some of the most powerful concepts. Let me be clear, applicability is about limiting the effort the reader needs to make to translate the concepts conveyed in the book into applying them to his own work setting. In our own book on business model innovation we are aiming at making all we write applicable. As a consequence our book will look more like a manual for business model innovation. It shall include workshop scenarios, use cases and exercises to practices business model thinking. Business Model Innovation Book - buy early access to raw content now! In MaySeptember 2009 Yves Pigneur and I will bring a new management book to the market, which will be a beautiful manual for entrepreneurs and executives about business model innovation. The interest we are getting for the book is staggering, because our business model innovation methods are already in use in companies such as 3M, IBM, Deloitte, Telenor, Logica and more. Our aim is to write a book that is visual & simple, applicable, relevant and full of exciting examples. If you are interested in the topic you now have the exclusive possibility to get early access to the book content and a community of business model innovators. It is a unique opportunity to participate in the makings of a management book that has the potential to become a global bestseller. Working title: "Crafting Innovative Business Models" "Business Model Generation". When you buy access for $US 243.- we will invite you to the book chunk platform www.businessmodelhub.com within 48 hours. There you will be able to access everything that is going on. The first "book chunk" is due mid-December and is currently in the making. Already now there is a discussion on the book platform about examples, book format etc. 13 All book chunks are online now. This is the last opportunity to participate and get your name into the final print version book of this amazing breakthrough project. Don't miss out on being part of a potential management book bestseller. You will even be able to prove it because your name will be mentioned in the print version! On Monday January 19. 2009 at 17:00 (CET, Zurich/Geneva) we will hold a free webinar to explain how the book chunk project works.